Baiyoke Sky Hotel Buffet is something that should never be missed out from the list when Visit Bangkok. 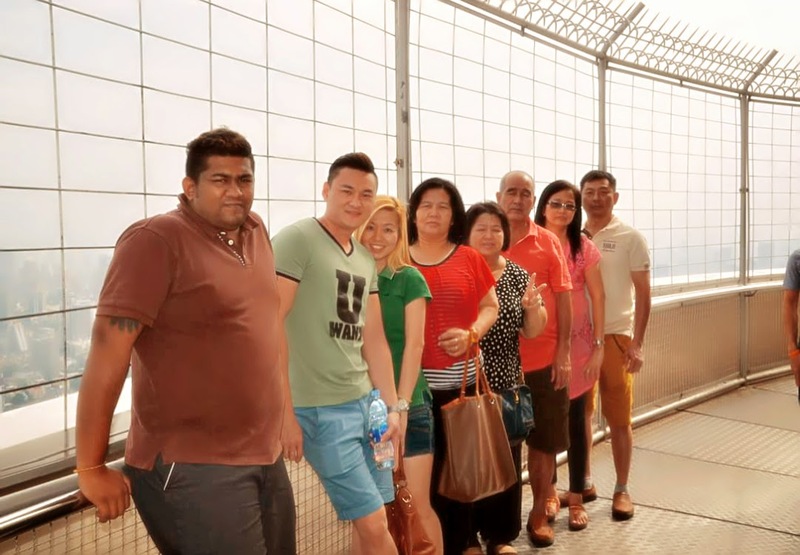 It is the highest dining spot in Bangkok. We can have a stunning aerial view of Bangkok city while enjoying the buffet. Baiyoke Hotel is about 88 floor height, there is different themed buffet from level 78, 81, 82 and 83. We reached Baiyoke Sky Hotel around 12pm and we had the lunch hour from 11am till 3pm daily, while the dinner starts from 5.30pm till 11pm. which was 800 baht per person . quite worth for the price because it included 360 Revolving view point at 84th... floor.